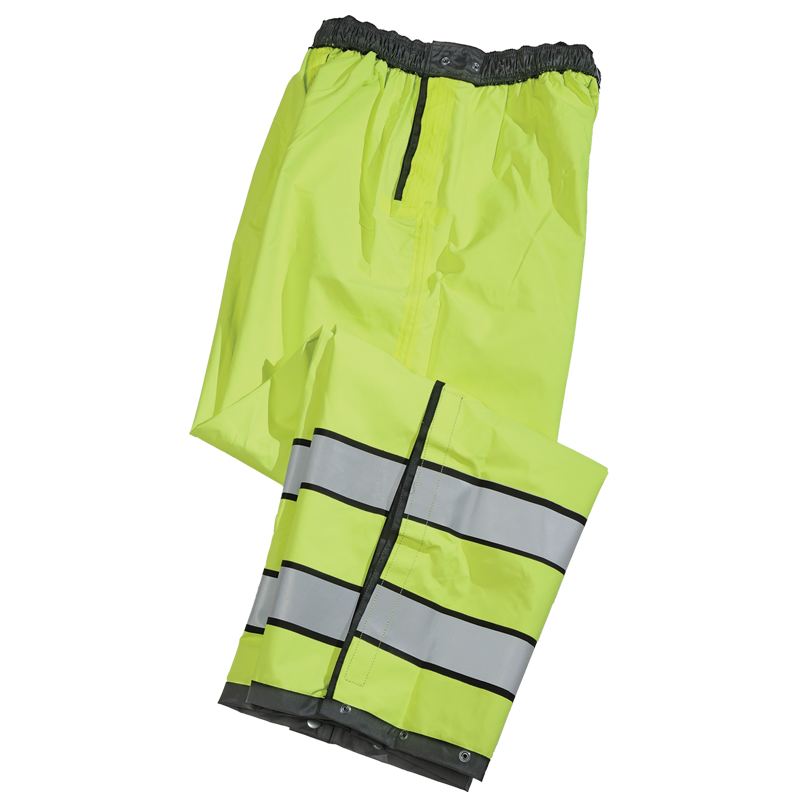 Lightweight waterproof rain pant. Lime Yellow interior with Scotchlite Reflective striping with 1/4" black accent edge is ANSI 107 Class E Ensemble for superior visibility. Elasticized waistband with side snap adjustments. Side Seam Velcro equipment openings. Velcro cuff openings for easy on and off.